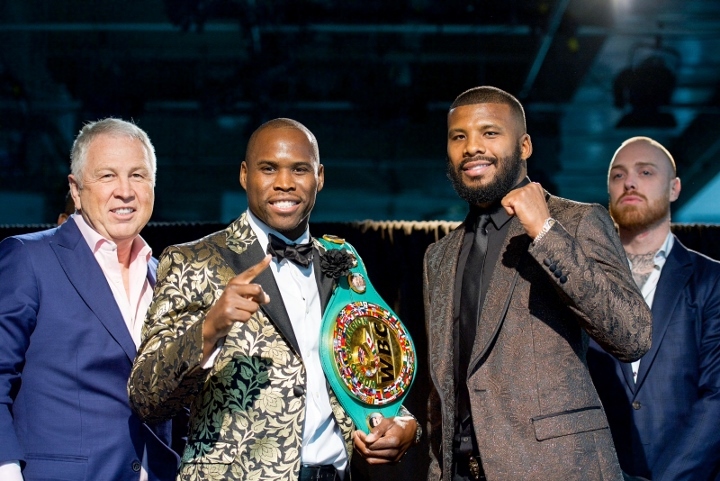 Badou Jack is among many in boxing who’ve been encouraged by Adonis Stevenson’s recovery recently from a brain injury. Jack, who battled Stevenson to a 12-round draw May 19 in Toronto, spoke Wednesday about how he has coped with what has happened to one of his recent opponents. While Jack realizes Stevenson was well aware of what could happen in this brutal business, Stevenson’s situation still has weighed heavily on him. Simone God, Stevenson’s fiancée, announced in a statement released Wednesday to multiple media outlets that Stevenson has begun speaking while recovering at L’Enfant-Jesus Hospital in Quebec City, Canada. She also noted that the former WBC light heavyweight champion from Montreal has been able to use his hands and feet. Stevenson (29-2-1, 24 KOs) was brought out of a medically induced coma late last month. That was the first strong sign that the 41-year-old boxer can recover from a severe brain injury he suffered during an 11th-round knockout defeat to Ukraine’s Oleksandr Gvozdyk (16-0, 13 KOs) on December 1 at Videotron Centre in Quebec City. Marcus Browne, who’ll box Jack on January 19 in Las Vegas, seconded his opponent’s sentiments on a conference call to promote their fight. Las Vegas’ Jack (22-1-3, 13 KOs) and Staten Island’s Browne (22-0, 16 KOs) are set to box for the WBA’s interim light heavyweight title on the Manny Pacquiao-Adrien Broner undercard two weeks from Saturday night at MGM Grand Garden Arena (Showtime Pay-Per-View).